With a 23.8-inch screen, Acer's Chromebase 24 all-in-one is the largest yet. Touchscreen Chromebooks are everywhere, but how well do they work? If small screens on Chrome OS computers don’t cut it for you, Acer’s new Chromebase 24 all-in-one will please you with the largest display yet in a Chrome desktop. The all-in-one has a 23.8-inch screen, larger than the 21.5-inch Chrome all-in-ones already available. The 23.8-inch touch display shows images at a resolution of 1920x1080 pixels. The components are integrated in the monitor, with options for Intel’s Core processors and up to 8GB of DDR3L low-power memory. Pricing and availability information weren’t immediately provided by Acer. 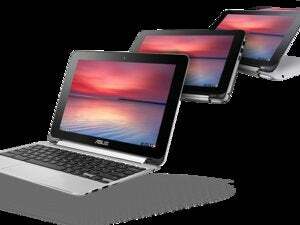 Chrome OS laptops and desktops are for those who do most of their computing on the Internet. Watching streaming Netflix movies will be more fun on the larger screen of the Chromebase 24. Outside of homes, Chrome PCs are also being used in schools and offices. A larger screen provides a better videoconferencing experience, and the desktop will be more visible across meeting rooms. Also announced by Acer was the latest Chromebook 11 model, which has a premium finish, giving it a fashionable look. But the 11.6-inch laptop has modest specifications, with an Intel Celeron processor, a 1366x768 screen, 802.11n Wi-Fi, up to 4GB of memory, and up to 32GB of storage. The laptop offers nine hours of battery life. It will ship next month starting at $180. 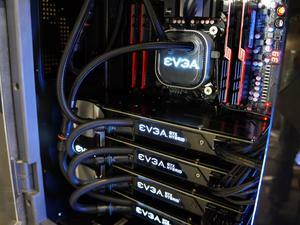 The Chrome PCs were announced ahead of the CES trade show this week in Las Vegas.